Grand Master Garrett Gee teaches in the traditional fashion (direct teaching) face to face. There are no substitutions such as dvds, books or videos for learning Hung Fa Yi Wing Chun because they are not effective in expressing the principles of the Hung Fa Yi System. Authorization to represent or teach Hung Fa Yi Wing Chun can only be given by GM Gee. In order to become an “Instructor Candidate” for the Hung Fa Yi Wing Chun System , a “Sifu” of the Hung Fa Yi Wing Chun System or accepted as a “Bai Si” (discipleship) to GM Gee, certification must come directly from GM Gee to be valid. We are pleased to announce the formation of the official ‘Hung Fa Yi Wing Chun Instructors Program”. This program is open to the public as well as professional martial artists. It is available for both national and international candidates who wish to earn a 1st Level Certification to teach Hung Fa Yi Wing Chun to the public. Our "Long Distance Learning Program" can accommodate a variety of circumstances. We do offer an introductory level program for 1st level instructors. This program will help us design an effective learning process tailored to your individual circumstances. There are five separates levels of Hung Fa Yi Instructors, each with specific qualifications and criteria that must be met. Testing will include written, oral and skill challenges. If you are interested in representing the Hung Fa Yi Wing Chun System in your area please contact the headquarters Hung Fa Kwoon of San Francisco to receive an application and to speak personally with GM Gee who is the only one currently certifying all instructor candidates. 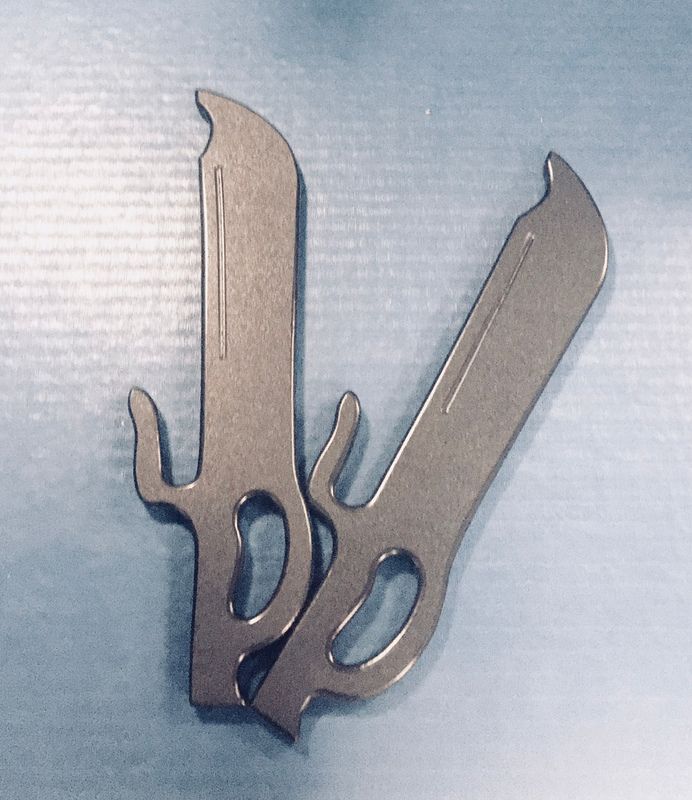 These HFY Butterfly Knifes were designed by HFY Grand Master Garrett Gee for training. The specifications of the HFY Butterfly Knifes have been maintained since Grand Master Hung Gun Biu from the time of the Boxers' Society, to the present Lineage Holder Grand Master Garrett Gee.